Ranked in the Great Place to Work Awards 2017 — Neueda takes pride in being easy to work with. Neueda is an award-winning, trusted partner to international market leaders in the Public Sector, Private Sector and Capital Markets. At Neueda, we provide digital solutions to enable our customers to transform and improve the way they do business. Founded in 2006, Neueda delivers large-scale, mission critical software projects on a global scale. Services delivered include enterprise integration, legacy system modernisation, data services, right through to complex transformational projects. Neueda works tirelessly to build trust, respect and partnership with its customers, employees and the communities in which it operates. Ranked in the Great Place to Work Awards 2017, Neueda takes pride in being easy to work with, being responsive and investing in both employee and customer success. Meet the Team inspiring success at Neueda. Our Leadership team helps define how we work, our culture and our values. Together, we are Building Something Special. Sir Malcolm McKibbin joins the Neueda board having successfully led the NI Civil Service through a radical change programme during his tenure as Head of the Northern Ireland Civil Service. Helen Kirkpatrick MBE, BA FCA is Chairman of Neueda’s Board of Directors bringing considerable financial and business acumen to the role. 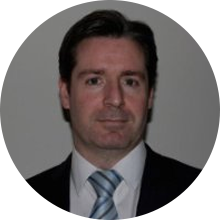 Brendan is a founding director of Neueda and has overseen the growth and establishment of a senior management team. David founded Neueda in 2002 and continues to oversee engagements with major clients. He takes a particular focus on global training and upskilling projects. Paddy is responsible for day to day operations including continually building our talent pool and on–going delivery to our global client base. David works with our clients and partners across all business domains, constantly driving success by liaising closely with customers, understanding their unique business needs. Lisa is responsible for People & Culture (HR) within Neueda. She is our go to person to ensure we keep our unique Neueda culture as we grow as a company. Steven is an experienced finance director in the IT and construction sectors and is responsible for the Finance & Operations Functions in Neueda. Neil is responsible for leading our rapidly growing technology consulting practice, developing our consulting business with key customers, and delivery of Neueda’s portfolio of consulting services. Brendan is responsible for defining and evolving the Neueda Service Offerings and Value Propositions, Corporate PreSales and Innovation. Peter works with the senior management team to help build a sales, marketing and customer strategy and execution plan that support Neueda’s business locally and internationally. Roisin heads up our Marketing and Communications function, building awareness of our special brand. Ciaran partners with our Private Sector clients to shape and provide solutions to project and business needs. With over 20 years’ experience in the financial technology sector, Mal partners with our Capital Markets clients to shape and provide solutions to project and business needs. Aaron co–ordinates the attraction and selection of top talent to our team both permanent and contractors, across the Neueda business and geographies. 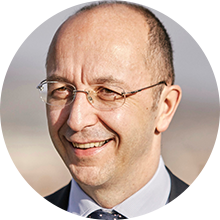 David joins the Neueda board having spent his career at PwC before retiring in 2015 as Chief Operating Officer. Tony McManus joins the Neueda board with two decades of international experience in capital markets and the fintech sector. We're trusted by some of the world's smartest companies. Find out why. Our culture involves honest and open communication – no one person has the right answer. As an organisation, we want all voices and opinions to be heard, everyone’s view has value and a place. Our values provide the platform for our unique culture of shared values and beliefs to flourish. It is the foundation that enables us to inspire, motivate and engage our people. The wellbeing and engagement of our people is key and we want everyone at Neueda to feel and be part of something special. We work hard at building trust with our colleagues and clients. We celebrate our diversity and respect the right to hold differing views and values. The key to our ongoing growth is that our customers are successful. In partnership with our customers, we strive to understand and agree what success looks like – then we collectively work towards it. We all take responsibility for all tasks assigned to us. No matter how large or small, strategic or tactical - we get the job done. We want all voices and opinions to be heard. Everyone’s view has value and a place in our team. We encourage our staff to speak out, debate and collectively agree the solution before committing to deliver.